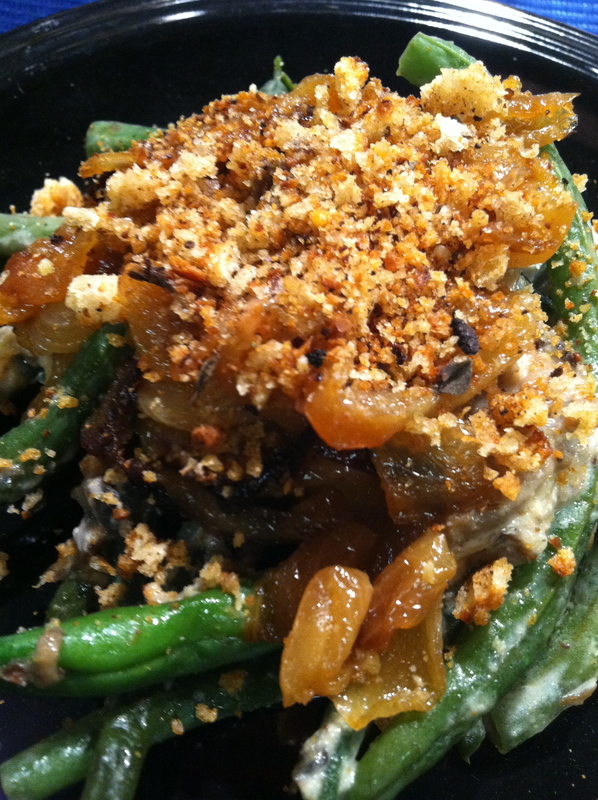 Green bean casserole is another Thanksgiving classic that can be modified to be a bit tastier, a lot healthier and certainly more special. Usually the casserole is made with condensed cream of mushroom soup which provides half your daily dose of sodium in one portion. Furthermore, 50% of its calories come from fat. When you check the ingredient list you will see inflammatory oils, such as soybean and cottonseed oils, along with other unnecessary additives like MSG. I say, make your own! It’s really not as hard as it may seem, and making your own mushroom sauce creates a very special dish for your loved ones. Plus, a made-at-home sauce makes Green Bean Casserole good enough to be an “everyday” food rather than a dish that as saved for once a year. NOTE: This recipe has been updated and incorporated into a new e-cookbook, Organic, Non-GMO and Gluten-Free Fall Family Favorites. 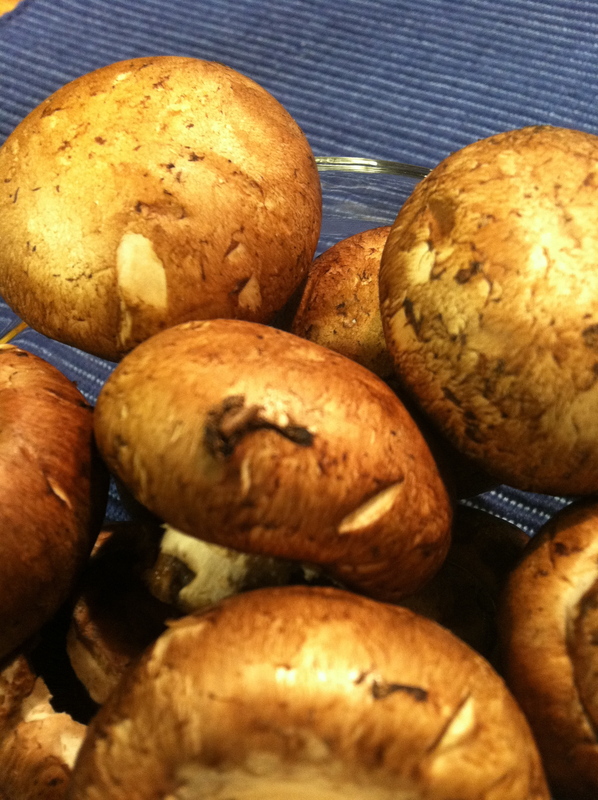 Start by slicing and dicing your mushrooms into pieces as small as you’d like. Mince the garlic and dice the onion. Put the mushrooms, onion and garlic in the food processor for a fine chop. Heat the olive oil over medium heat in a large, deep sauté pan and add the mushrooms, garlic and onion. Sautee the mushroom, onion and garlic over medium heat until the mushrooms are soft and wilted, about 10 minutes. Add a tablespoon or two of broth to soften the mushrooms further if you’d like. While the mushrooms are cooking, trim the green beans and, if you’d like, cut into smaller pieces or keep them as long green beans. Mix the cornstarch into the milk. When the mushrooms are nicely softened, add the milk with cornstarch and allow to simmer until thickened. Add more corn starch if you want a thicker sauce. Remember to mix the cornstarch with cold or room temperature milk, water, or oil before adding it to the hot pan. Add the green beans; stir to coat the beans and transfer the green beans into a casserole dish. Bake the casserole at 350 degrees for 30 minutes or until bubbly. For the topping, caramelize onions by warming the olive oil over medium low heat and adding sliced onion to cook slowly for about 20 minutes until soft and golden. While the onions are cooking, pulse 2 pieces of gluten free toast in the food processor until you get coarse crumbs. If you are not eating gluten free, pick up a bag of 100% whole wheat Panko breadcrumbs (see picture below) or make your own crumbs with 100% whole grain bread. Remove the casserole from the oven and top with the onions, then the bread crumbs. Place back in the oven under the broiler for just a few minutes to crisp the crumbs. The casserole filling can be made ahead and refrigerated for 7 days and then cooked on the day you want to serve it; cook the onions and make breadcrumbs, but keep them in separate containers and refrigerate for 7 days. Bake the casserole and top with onions and breadcrumbs as directed above the day you want to serve it. Baby bella mushrooms give a rich flavor, allowing you to enjoy your mushroom sauce with less oil and salt AND mushrooms give your immune system a nice boost! 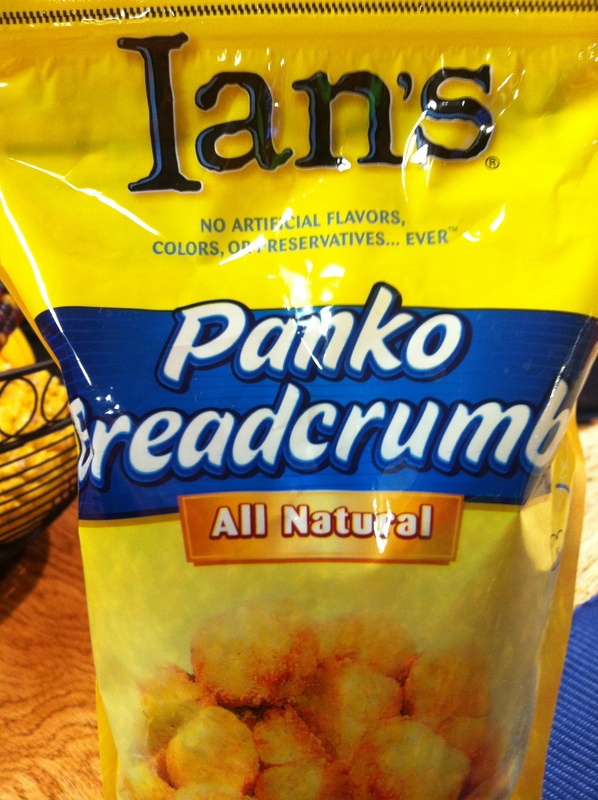 Panko breadcrumbs are handy if you aren’t eating gluten free. Be sure to choose the 100% whole wheat variety. I made this recipe last night. Since I don’t like mushrooms, I left them out and made the sauce “plain.” It turned out great and was perfect. I also added a pound of chicken breast that I cooked on the stove top beforehand and added in when I added the green beans to the sauce. I would probably make a little more sauce next time (maybe just adding another 1/2 cup millk). I made my own bread crumbs from some leftovers in the freezer. Thanks for the recipe! Thanks Kat! I know others will appreciate your comments.